For this review I decided to stay local. When I say local, I am talking about the Niagara Region of Ontario. If you live outside of Canada then you are probably not familiar with the high quality wine that is now being produced in Ontario. world class wine and on top of it all the 2007 vintage is supposed to be one of the best in history. I have always been a big fan of Henry of Pelham Family Estates wines. This winery consistently puts out top quality products and this 2007 Baco Noir is no exception. As soon as I got this wine, I was excited to try it. 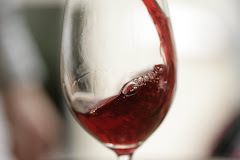 Upon pouring the wine into a nice big glass, all I could do was stare at the beautiful dark purple colour. The nose was very rich and full with a small tinge of alcohol being released. This wine had a smooth almost creamy taste/texture. It was dry and medium to full bodied. The tastes that appeared were dark ripe berries and a hint of vanilla. If you have never tried a Baco Noir, this should be the one you try first. Henry of Pelham Baco Noir 2007 is a very well crafted wine from a very special local winery. Drink it now or hold onto it for a few years. Trust me and try something new.